What is the secret DNA of theater? What makes it unique from its sister arts? Why was it invented? Why does it persist? And now, in such an advanced technological age, why do we still feel compelled to return to a mode of expression that was invented over two thousand years ago? These are some of the foundational questions that are asked in this study of theater from its inception to today. The Secret Life of Theater begins with a look at theater’s origins in Ancient Greece. Next, it moves on to examine the history and nature of theater, from Agamenon to Angels in America,through theater’s use of stage directions, revealing the many unspoken languages that are employed to communicate with its audiences. Finally, it looks at theater’s ever-shifting strategies of engendering fellow-feeling through the use of emotion, allowing the form to become a rare space where one can feel a thought and think a feeling. In an age when many studies are concerned with the "how" of theater, this work returns us to theatre’s essential "why." 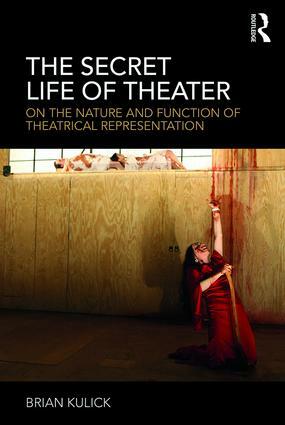 The Secret Life of Theater suggests thatby reframing the question we can re-enchant this unique and ever-vital medium of expression. Brian Kulick was the Artistic Director of Classic Stage Company and former Artistic Associate at The Public Theatre. He has staged the works of Shakespeare, Brecht, and Tony Kushner. He teaches theater directing at Columbia University’s School of the Arts with Anne Bogart.